What is a Membrane Protein? Numerous functional proteins are embedded within the cell membrane. Membrane proteins shuttle material into and out of the cell. Membrane proteins are embedded in a cell's phospholipd bilayer. Membrane proteins are proteins that are embedded among the phospholipids that make up the bilayer structure of cell membranes. The membrane protein performs specific tasks that are essential for the proper functioning of the cell. These include transporting molecules and ions into and out of the cell, starting signal pathways and making the cell recognizable to other cells. There are two main types of membrane proteins: peripheral and integral. Peripheral membrane proteins are embedded on one side of the cell membrane, either on the outer surface or the interior wall. Integral membrane proteins are are embedded within the cell membrane and project into the cell or the external environment. 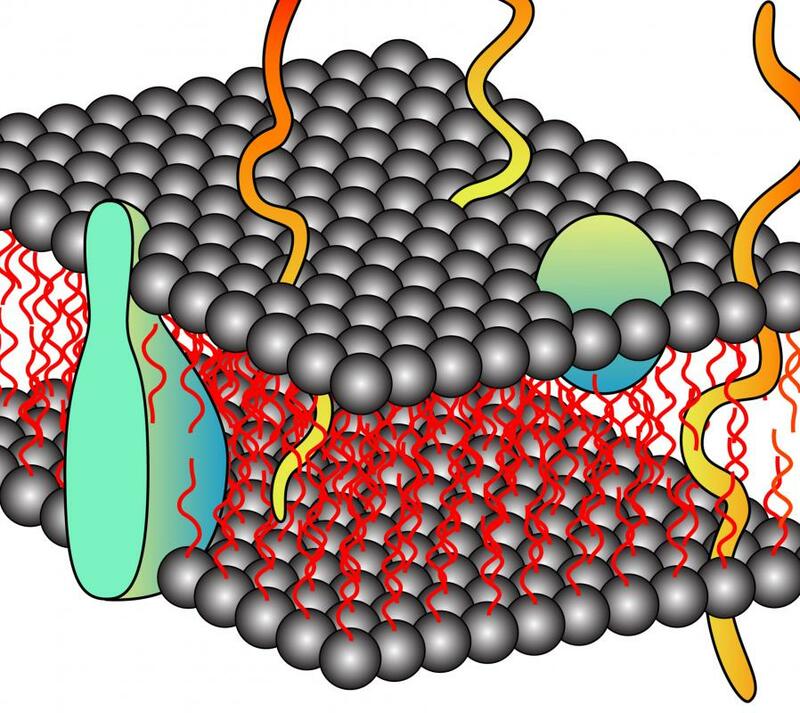 An integral membrane protein that spans the entire cell membrane, from the outer surface of the cell to the inner surface of the cell, is called a transmembrane protein. A peripheral membrane protein that resides on the outer surface of the cell membrane interacts with molecules that are released by other cells. 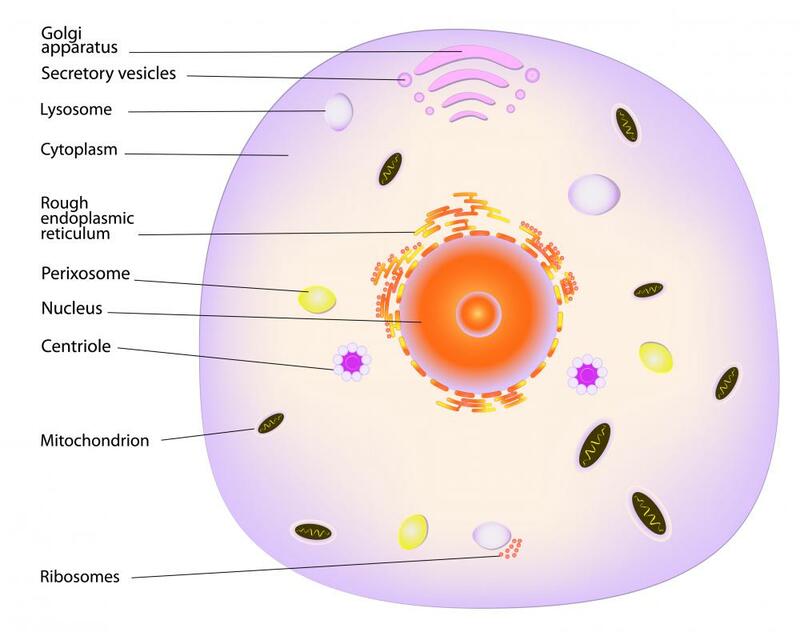 Through a process called cell signaling, one cell can communicate with another cell by releasing chemical messengers. The messengers are recognized by exterior peripheral membrane proteins. The peripheral membrane proteins that are located on the interior surface of the cell membrane provide a foundation for the scaffolding of the cell. These include the cytoskeletal proteins actin and spectrin. An enzyme called protein kinase C is another interior peripheral membrane protein. 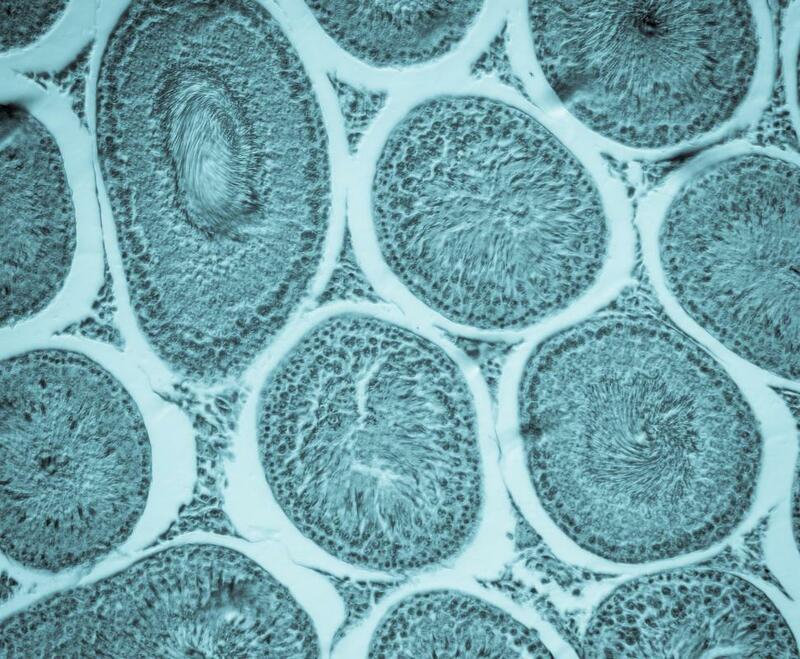 It initiates signaling pathways inside the cell. Peripheral membrane proteins do not interact with the non-polar region of the cell membrane. Instead, they are bound to the cell membrane through interactions between the polar region of the phospholipids and the polar region of the protein. Many peripheral membrane proteins bind to integral membrane proteins as well. Integral membrane proteins transport molecules from the external environment to the interior of the cell. Some can freely transport molecules while others require energy to transport molecules. Integral membrane proteins also serve as receptors for specific molecules and as enzymes for specific metabolic pathways. What Is a P38 Pathway? What Is the Function of the Cell Membrane? What is a K Cell? Proteins make up 50% of a plasma membrane’s mass. It occurs in two forms: peripheral (extrinsic) and integral (intrinsic). The membrane proteins for cell adhesion bind to the other proteins, such as those found in the extracellular matrix surrounding cells. Cell adhesion is hugely important. It maintains the structure of organs and tissues.